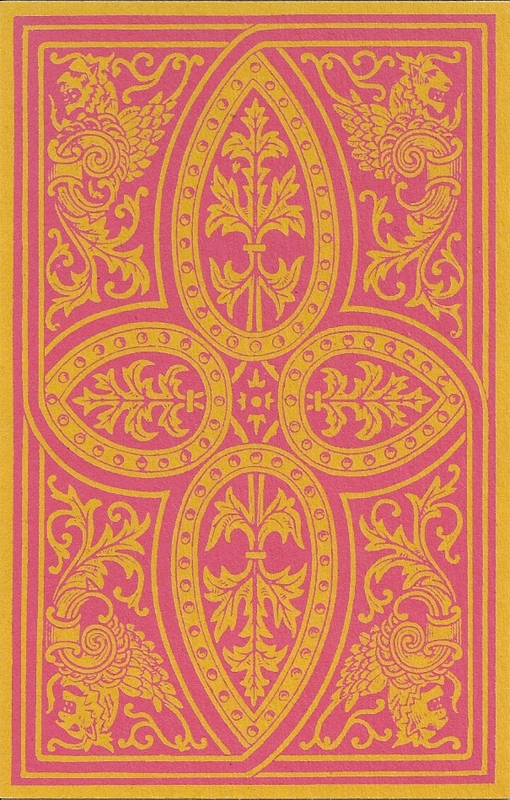 The first version of this deck was designed 1843 by Lorambert under the pseudonym Johannes Trismegiste. 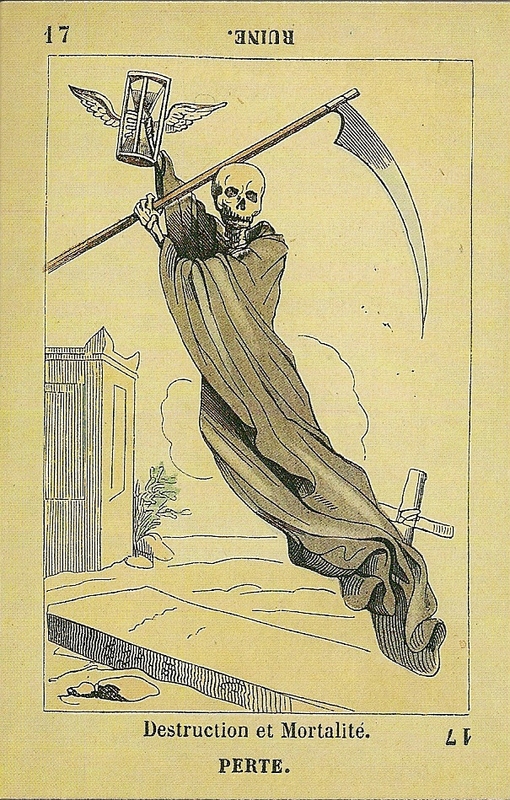 It was published with Jules Laisne and appeared in a book called L'Art de tirer les cartes, revelations completes sur les destinees au moyen des cartes et des tarots, d'apres les methodes les plus certaines (The Art of Rreading the Cards, complete instructions on fortune-telling by means of cards and tarots, according to the most reliable methods). It was reprinted unchanged in 1850. 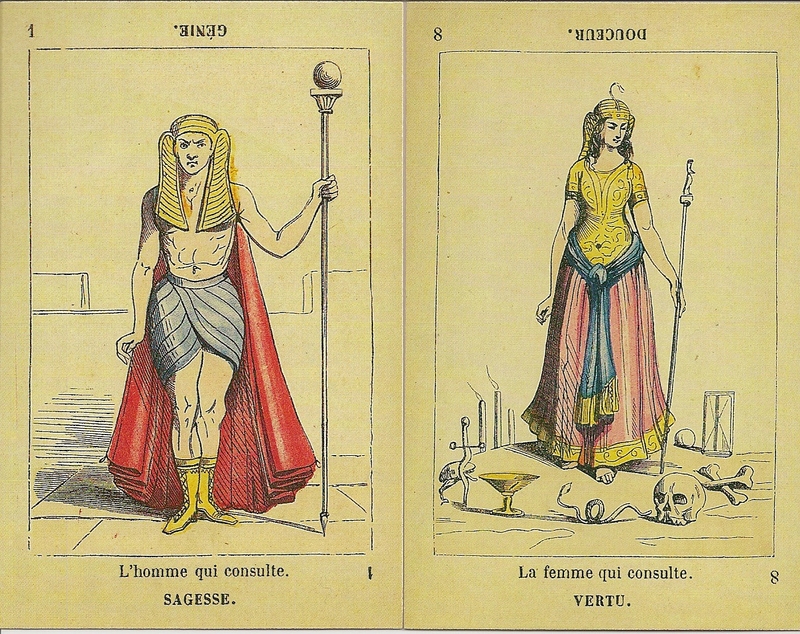 In 1864 there appeared a new edition called Jeu de la Princesse Tarot. The designs of the cards remained the same, but some titles and inscriptions of the trumps and names of court cards and aces where changed to a more ancient Egyptian style to emphasize their supposed origins, e.g. number 3 was called Anubis. The production was continued by Wattillaux (1874-1908). 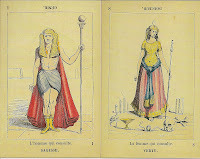 Dussere reprinted one of the Wattillaux Jeu de la Princesse Tarots from around 1876, which was preserved in the National Library in Paris as photoreproduction. A modified version of this deck has been reproduced in 1996 by Lo Scarabeo as the Esoteric Ancient Tarots. The cards were numbered consecutively from 1 to 78, following the system started by Etteilla to emphasize that the cards were pages of an ancient book. The cards have a central image surrounded by a large border with two lines of text at the bottom. The first is the card title the second line it’s divinatory meaning. 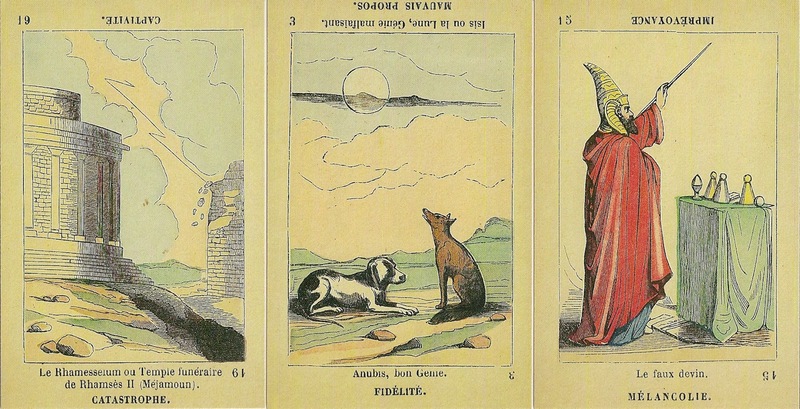 At the top of the card is a reversed printed line with the reversed divinatory meaning. 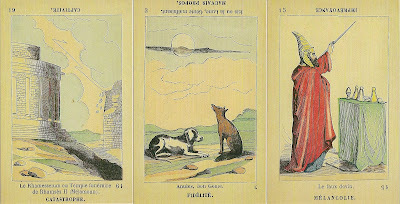 In spite of their titles the cards do not portray convincing Egyptian iconography instead they incorporate symbology from such sources as Genesis and the Hermetic creation myths of The Divine Pymander.